Clara Bastidas is a Venezuelan human rights lawyer. She holds JD degree from the Universidad Católica Andrés Bello in Caracas and an LL.M. in Public International Law and Human Rights from King’s College London in the UK. She has experience in several human rights NGOs in refugee rights, forced migration, civil and ESC rights, as an advocate for vulnerable groups and a field lawyer. She worked at the United Nations High Commissioner for Refugees from 2012 to 2015, coordinating the implementation of durable solutions for refugees and humanitarian assistance. 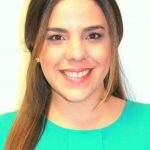 Currently, she works as a fellow in the Rapporteurship on the Rights of Migrants at the Inter American Commission of Human Rights in Washington, D.C.